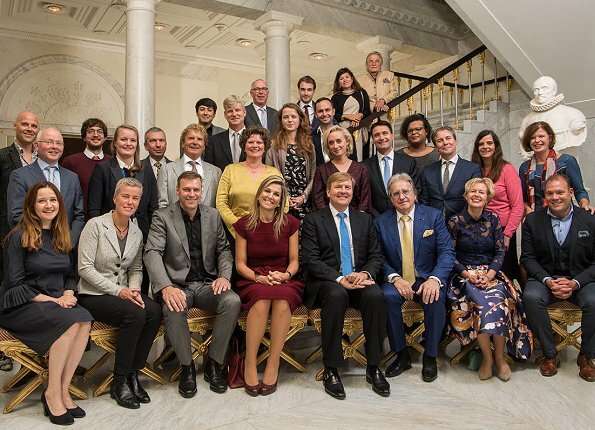 Yesterday, on October 13, 2017, King Willem-Alexander and Queen Maxima of The Netherlands held a lunch at Noordeinde Palace in The Hague for the persons of Netherlands who are praised for their special achievements in fields such as art, culture, media and journalism, science and trade. Such a busy King and Queen !!! Take care, we love you !!! Such a happy looking group of people - makes you want to smile back at them.